This handbook demonstrates how to configure PortaBilling® for integration with the partner platform by the example of EPC (Evolved Packet Core) by ZTE. PortaBilling® supports ZTE provisioning of LTE / 3G services to EPC and supports quota control for these services. Note that by combining the PortaBilling® system with ZTE equipment, some of the possibilities are limited, e.g. only simple billing without real-time authorization is available; the service policy configuration (e.g. quota control, etc.) is defined on the ZTE side (which requires additional human and system resources), etc. PortaBilling® serves as the B/OSS system in this configuration. It manages customer data (including unified balance), service configuration details, product / rate tables, etc. PortaBilling® allows ISPs to fine-tune a wide range of LTE features according to their business needs, and therefore it provides more flexibility and optimizes resources. Please refer to the LTE Configuration handbook to learn more about how to configure basic LTE service on the PortaBilling® platform. 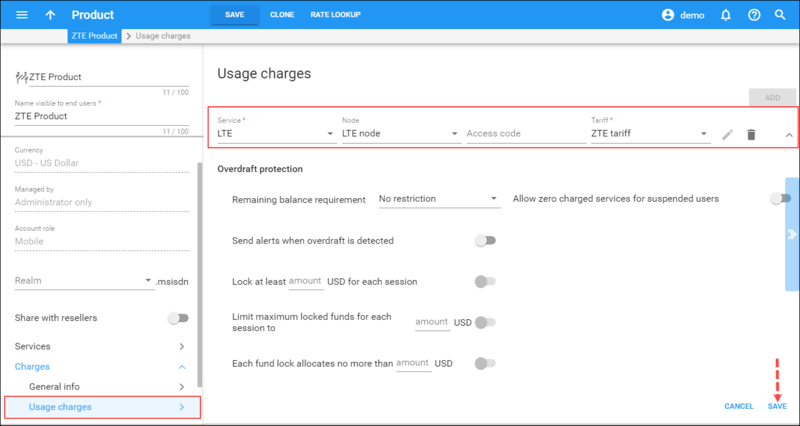 To proceed with the LTE configuration based on integration with ZTE, follow the steps described below. This handbook provides the settings required on the PortaBilling® side only. In this handbook, the following scenario is considered: the ISP provides 2 Gb of mobile Internet traffic for a $5 monthly fee. The Internet quota is defined on the ZTE side while end users are charged by PortaBilling®. Print the following page and use it during system setup to check off the operations as you complete them according to the instructions in this chapter. Please be sure to perform all of the operations in the order designated (all of the boxes should be checked), otherwise the service will not work. Enable the NetAccess service type as described in the LTE Configuration handbook. These settings are necessary to allow the PortaBilling server and your gateway (router, modem) to exchange packages via the Diameter protocol. Refer to the LTE Configuration handbook for detailed instructions how to configure Diameter (Gy) module. Services provide a way to define how charges are calculated (e.g. whether customers are charged based on the time they stay online or by the amount of data transferred) and how these are then presented on the invoices. Create the LTE service. It will enable you to provision Internet services for your end users. · Name – A short descriptive name for this service that will be used in select menus and shown on the customer self-care pages. Type LTE into this field. NOTE: LTE is the required name for the LTE service. Please do not change it. · Rating base – Select upload+download (kilobytes). · Base unit – Select kilobyte. · Billing unit – Select megabyte. This will be shown on statistics pages and on invoices. According to the current business scenario, end users are charged via subscription plan. That is why real tariffs and rates are not required. Create an empty tariff to make it possible to create a product later on. 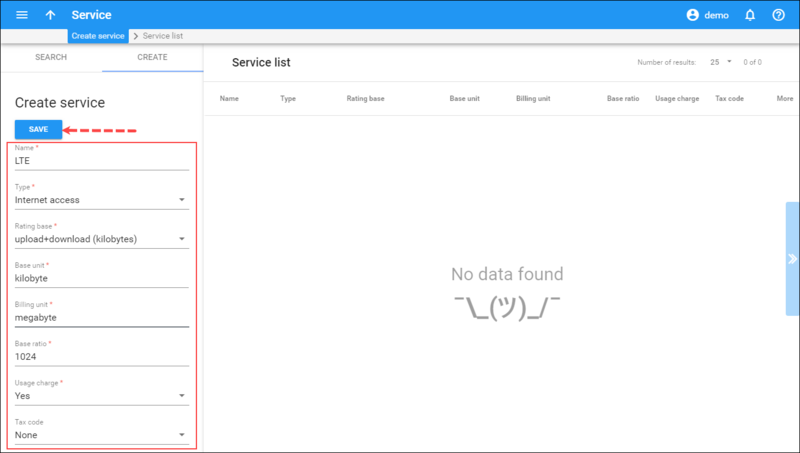 · Service – Select LTE from the list. A policy is a collection of rules and parameters that define how an end user is allowed to access the Internet service. · Name – Define a name that matches the speed policy on the network side (e.g. ZTE Access Policy). · Managed by – Choose Administrator only here. 4. On the Access policy panel, mark the access types on the table and specify their download and upload rates. Please refer to the Broadband Internet Access Services handbook for detailed information about how to configure access types. · Profile – Specify the service configuration value defined in HSS (Home Subscriber Server). · Usertype – Specify the rank of the end user as defined in RCP (Resource and Charging Control Platform). For example, user type 1 represents a gold subscriber; user type 2 represents a silver subscriber, and so on. 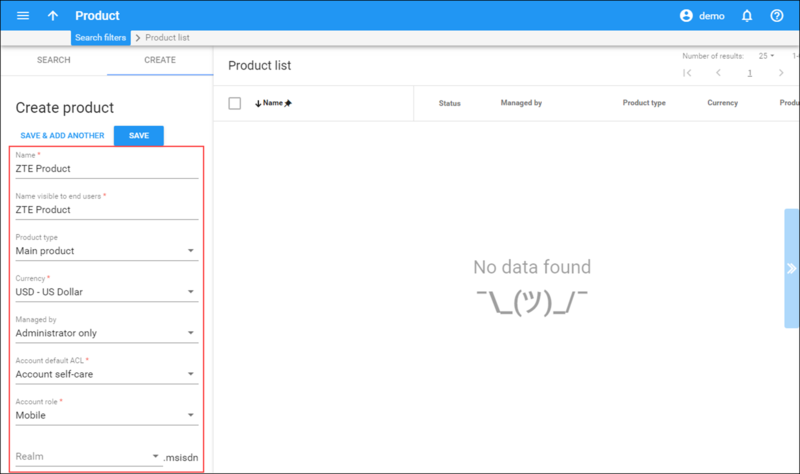 · PAKID – Specify the package ID in ZTE SPR (Subscription Profile Repository). These packages are configured on the LTE side and define amount of Internet traffic, quality of service, bandwidth rules, access to sites, etc. According to the current business scenario, end users are charged a defined monthly amount of money via subscription. To do this, create a new subscription plan. 1. 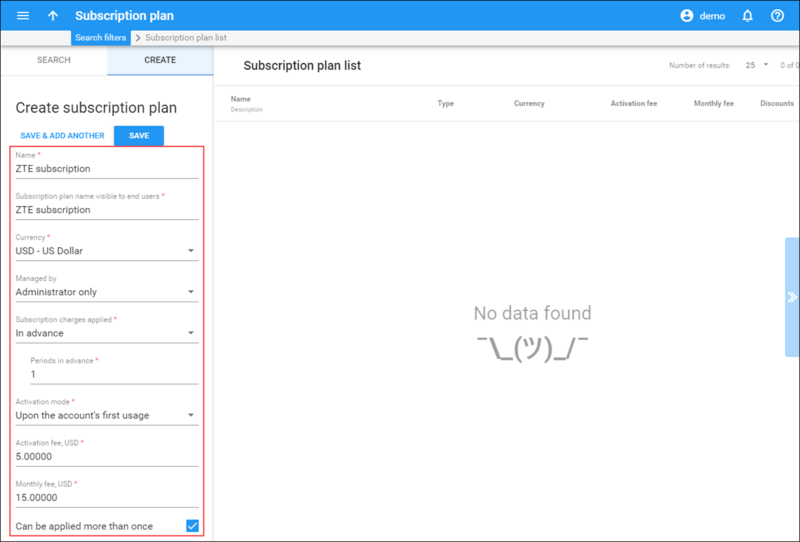 On the navigation menu, select Service catalog and click Subscription plans. 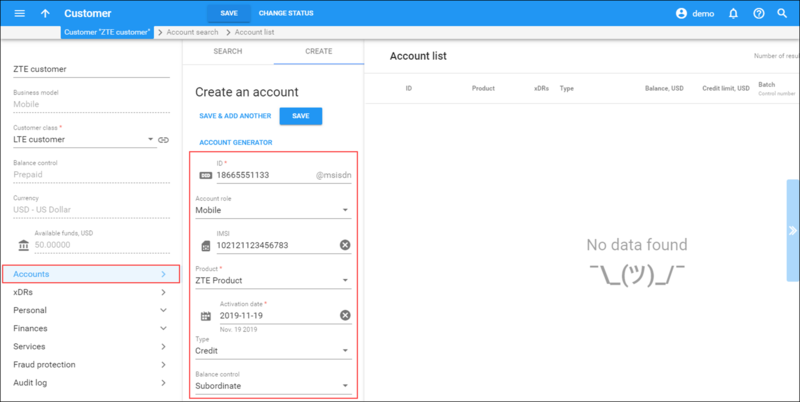 · Subscription name visible to end user – Provide the name of the subscription plan that your customers will see on their self-care interfaces and invoices. · Subscription charges applied – Select In advance, to apply subscription charges to the account / customer balance during the first days of the billing period. · Periods in advance – Specifies for how many periods advance charges should be made. Type in 1. · Activation mode – Defines when the subscription will be considered active (and charges will begin to apply): either simply from the date it is entered into the system, or you may postpone it until the date when the customer actually uses the account for the first time. Select Upon the account’s first usage. · Activation fee – The value charged for every new subscription upon startup. Leave this field empty to waive the activation fee. Accounts for specific products will be issued for accessing your Internet services. · Account role – Select Mobile to associate this product with mobile subscribers. 3. In the Select services to add dialog box, select LTE and Mobile network provisioning, click Add. Define the service attribute default values for all the accounts that this product will be assigned to. Assign to the product Internet access policy for ZTE. · Internet access policy – Select the access policy you created earlier (e.g. ZTE Access Policy). · Service – Select LTE. · Node – Select LTE Node. 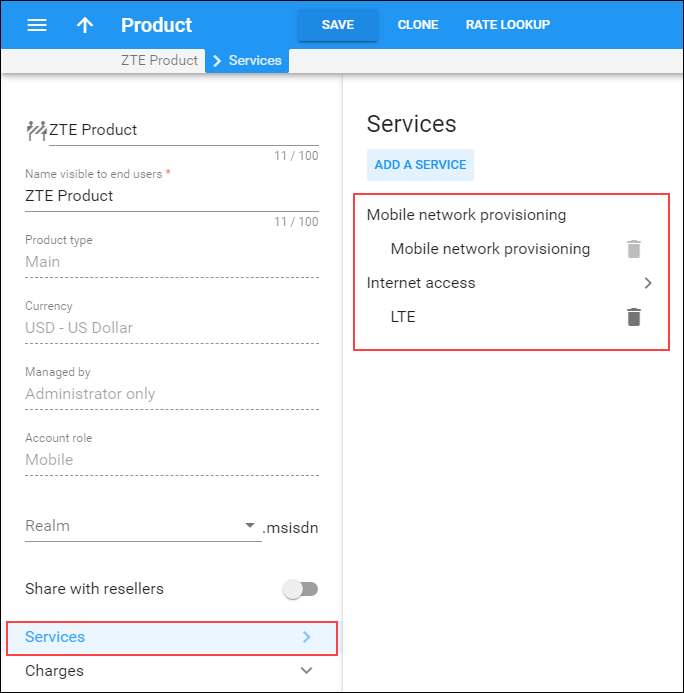 · Tariff – Select the previously created ZTE tariff. On the Charges panel you can define regular payments such as subscriptions. Refer to the Enter SIM Cards into the SIM Card Inventory section of the MVNO Service Provisioning handbook to find out how to add SIM cards into the SIM card inventory. A customer is an owner of accounts. Customer contact information is used for distributing account usage information, Internet access statistics, invoices, etc. You usually need to create one customer per each retail prepaid ZTE user. · Business model ­– A business model defines what type of service is to be provided to the customer. Select Mobile for this customer. · Balance control - Select Prepaid in this field. · Available funds – The amount of funds available for the customer to spend on services. You need to create an account for each device that has a unique SIM card. · ID – The ID to be used to authorize Internet access. You can type in the user’s phone number manually or provision it from the DID inventory. · Account role – Select Mobile. · IMSI – Click on the IMSI icon and select one of the available SIM cards from the SIM Card Inventory dialog box. · Product – Select the ZTE Product here. 3. Click Save to create an account. ESPF (External Systems Provisioning Framework) is the event handler framework for provisioning service configuration and for account management operations done in PortaBilling® to the mobile carrier’s core. 1. Go to the Configurations tab on the Configuration server. 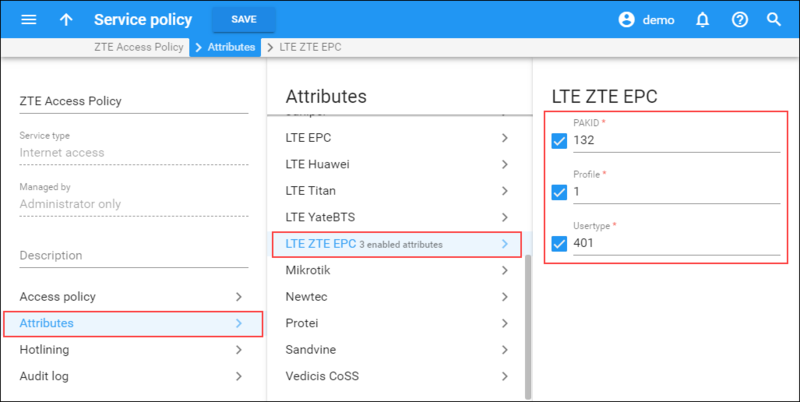 To provision data to ZTE, you need to enable the ZTEEPC handler and activate the essential events. This requires a high level of technical knowledge so please contact the PortaOne® support team who will provide you with further assistance. When a PortaBilling® administrator makes changes for an account (creating, blocking, changing product / Internet access policy, etc. 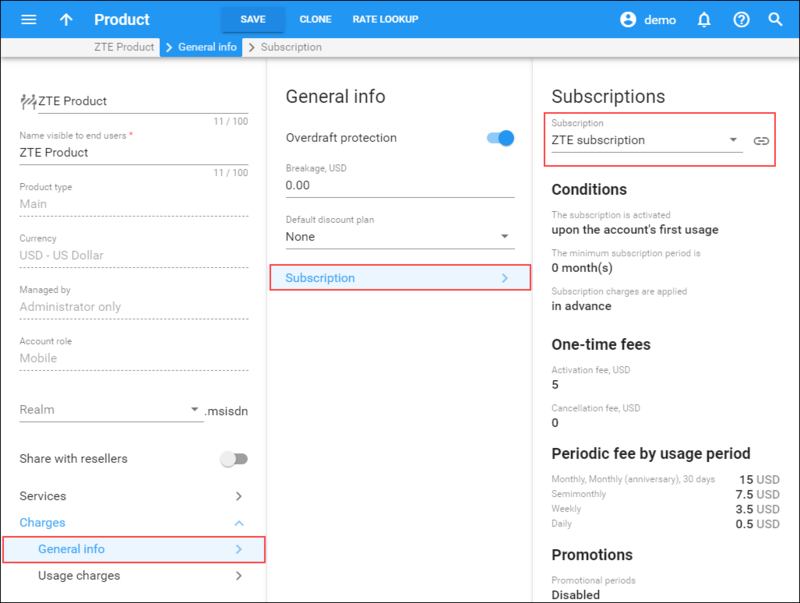 ), PortaBilling® immediately provisions updated data to the ZTE HSS (Home Subscriber Server) or ZTE SPR (Subscription Profile Repository). HSS then provides centralized user authentication across the network and SPR manages users’ service policies. This way, user data is always up-to-date in ZTE.